Below you can view all the homes for sale in the Hampden Heights subdivision located in Denver Colorado. Listings in Hampden Heights are updated daily from data we receive from the Denver multiple listing service. To learn more about any of these homes or to receive custom notifications when a new property is listed for sale in Hampden Heights, give us a call at 720-729-2320. This home has been loved and cared for and is move in ready. Welcome home! MLS#6218522. LEGACY REALTY. 4th bedroom in basement is non-conforming. Backyard Storage Shed Included! MLS#4583251. Compass - Denver. Great Home....Call Today For Your Private Showing. MLS#1541083. COLDWELL BANKER RESIDENTIAL 24. There is a shared laundry room on the premises. MLS#9179602. Royal Oak Realty LLC. 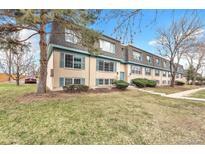 Easy access to public transportation, multiple light rail stations, and I-25. MLS#2268515. RE/MAX Alliance on Walnut. Close to shopping, dining and transportation. A Must See! MLS#5109645. Keller Williams Preferred Realty. This Home Needs Some Work But Is Waiting For a New Family To Call It Home. MLS#4238714. RE/MAX Professionals. Seller will agree to DEAL PRICE OF $ 179,999 if terms are met, please see Exhibit A or contact Listing Agent for Details. MLS#7213799. Keller Williams Advantage Realty LLC. Close to highways, DTC, Kennedy golf & world-class shopping & dining. Welcome Home MLS#9744820. COLDWELL BANKER RESIDENTIAL 24. $5000 carpet/paint allowance ask for details! MLS#9912521. COLDWELL BANKER RESIDENTIAL 54. **Dogs and reptiles not allowed by HOA; cats ok. ** Washer/Dryer located in basement and shared by six units. MLS#2178571. HomeSmart Cherry Creek. 1 car space available in underground community garage. Bike storage room. MLS#5535540. Ann Lampert Realty. Large Home in Hampden Heights for Quick Possession WITH FINE NEW APPOINTMENTS THROUGHOUT INCLUDING: * ALL NEW HARDWOOD FLOORS IN ENTRY/KITCHEN/NOOK/DINING AND LIVING ROOMS * ALL NEW QUARTZ COUNTERS IN KITCHEN AND BATHS * NEW CABINETS * ALL NEW STAINLESS STEEL APPLIANCES*ALL NEW BATHS AND TILE * ALL NEW EUROPEAN-STYLE PLUMB FIXTURES * ALSO INCLUDES * NICE UNDER MOUNT SINKS * NICE STONE FIREPLACES IN FAMILY & LIVING ROOM * LOWER LEVEL WITH VAULT BRICK SET TILE FLOORING * SPACIOUS BEDROOMS WITH PRIVATE BALCONY DECKS * LARGE MASTER WITH PRIVATE SITTING COVERED SITTING BALCONY * ALL NEW LIGHTING * WONDERFUL DESIGNER TOUCHES * MOVE-IN CONDITION * GREAT LOCATION near DTC/DOWNTOWN/LIGHT RAIL/SHOPPING * LARGE YARD WITH PLANTING AREAS RV TYPE STORAGE ON SIDE-YARD. MLS#5082095. RE/MAX Masters Millennium. This home is perfect for entertaining!! Don't miss this one! MLS#2397096. COLDWELL BANKER DEVONSHIRE.